Notes: I took a trip into town to go to the cinema this afternoon. 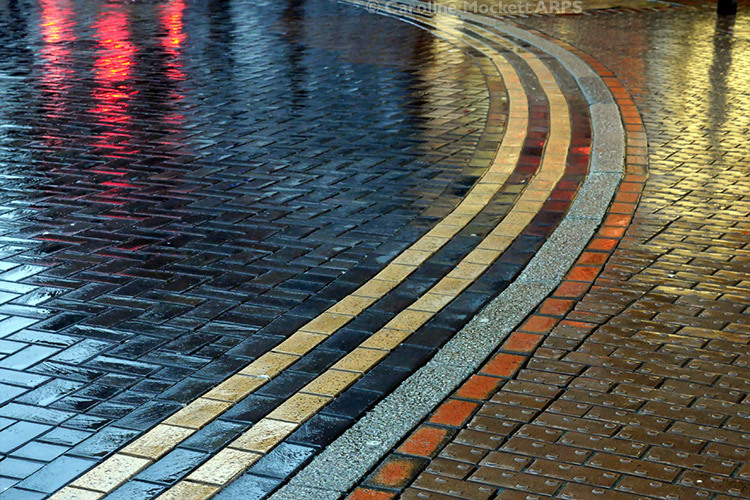 It was a wet and miserable day, but I grabbed this colourful shot of the wet paving and road on the way back to the bus stop. Perfect for 52 Weeks 2019 – Topic #6, A Rainy Day.